The Proteas Women had the Australian Women on the canvas before a late Aussie batting charge (followed by another failure with the bat by the Proteas) saw them lose their final warm-up match by 51 runs. In her first real outing since the tour to England ended in late June, Shabnim Ismail bowled Alyssa Healy for seven runs and Ashleigh Gardner for a duck in her first over of the match, leaving Australia 2-7. Elyse Villani followed for a two-ball duck, caught Sune Luus off the bowling of Marizanne Kapp in the third over to pin Australia back to 3-8. 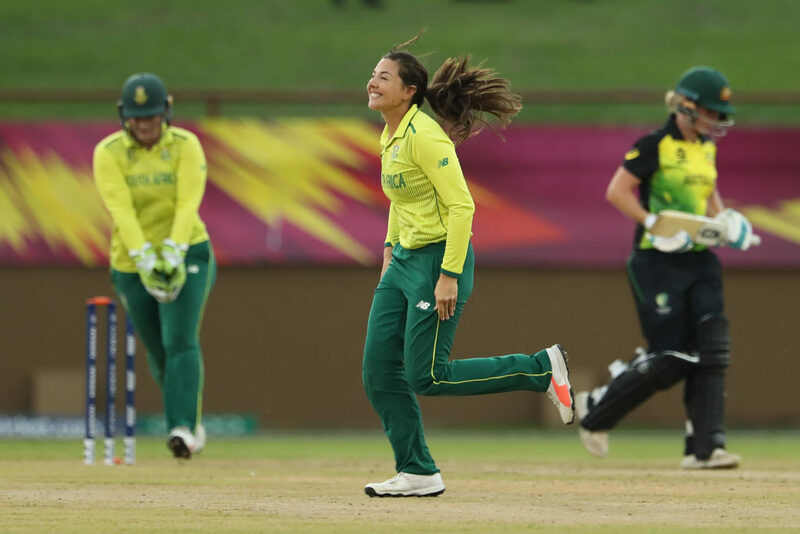 The Proteas Women’s bowlers continued to throttle the Aussie batters, with one run coming off the fifth over from Kapp, one from the sixth over by Ismail and four runs off over number seven, bowled by Masabata Klaas. Beth Mooney was bowled by Sune Luus with her score on 24 off 31 balls (three fours), which brought Meg Lanning and Rachael Haynes together and they added an unbroken 92 for the fourth wicket to take Australia to a defendable 130 off their 20 overs. Lanning’s contribution was a superb 65 off 51 balls (eight fours, one six, S/R 127.45), with Rachael Haynes backing her captain up with a well-played 29 off 27 balls (three fours). Proteas bowling was superb, with Ismail taking 2-19 (econ 4.76), Kapp 1-15 (econ 3.75) and Luus 1-36 (econ 12.00). Tumi Sekhukhune went wicketless by bowled well, conceding just 19 runs off her four overs (econ 4.75). The big-hitting Lizelle Lee fell off the first ball of the innings for a duck, caught Ellyse Perry off the bowling of Tayla Vlaeminck. Laura Wolvaardt and Robyn Searle made slow progress until the end of the seventh over, when Searle was bowled by Delissa Kimmince for nine runs off 29 balls, leaving the Proteas on 17-2. Laura Wolvaardt (8) and Kapp (7) both fell by the halfway point of the innings, as the Proteas Women fell way behind the asking rate at 30-4. 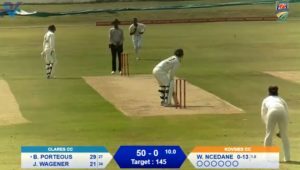 Sune Luus was bowled by Nicola Carey for 11 off 22 balls, the first Protea to hit double figures in the innings, followed by Mignon du Preez for 13 off 18 balls and Chloe Tryon for 14 off 10 balls. The Proteas ended on 79 for nine off their 20 overs to lose by 51 runs, Jess Jonassen taking 3-11, Tayla Vlaeminck 2-10 and Nicola Carey 2-12. This would have been a sobering defeat for the Proteas, although they can take heart from their bowling performance. If the batters can come to the party (and there is serious quality among their line-up), then there’s every chance they can make an impact on this tournament.